Dragonmann is a good guy. 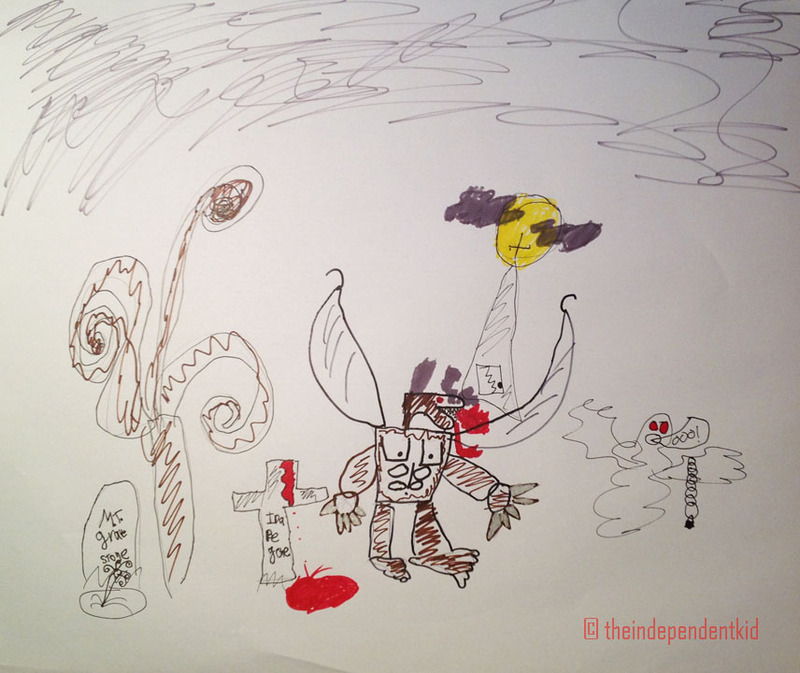 He fights off bad zombies and ghosts, as shown in my drawing (above). He has razor sharp wolf claws that never break. His skeleton is plated with titanium and he has bat wings that help him fly. He breathes fire, has a snake tongue, rabbit ears and a wolf body. Don’t you think my drawing looks like Michael Jackson’s video Thriller? This is my stop motion LEGO version of Thriller.